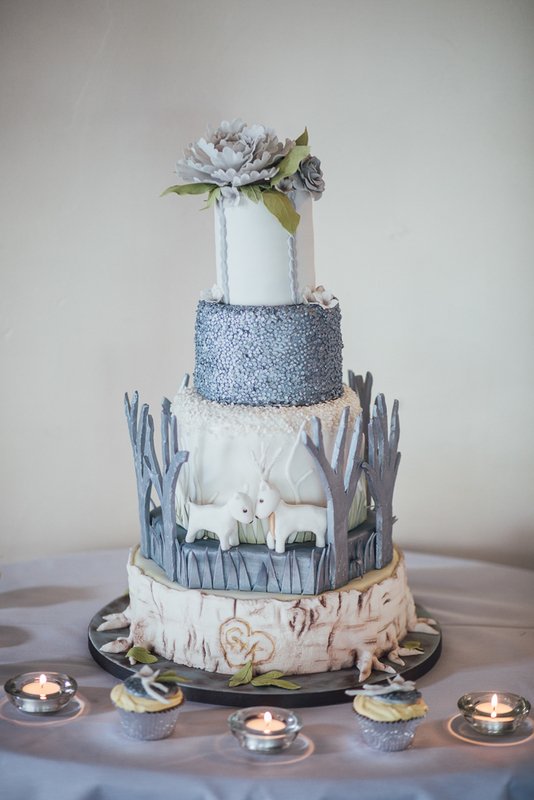 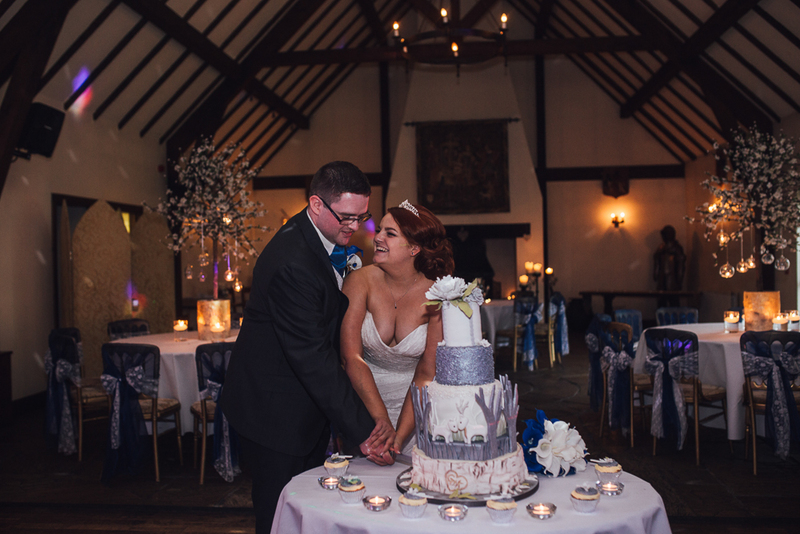 While we fiercely champion all of our amazing suppliers, we also love to see a wedding that calls on the talents of the couple’s nearest and dearest and delivers handmade touches, like the wedding flowers in today’s real wedding that were arranged by the bride’s aunt, and the cake created by a family friend. 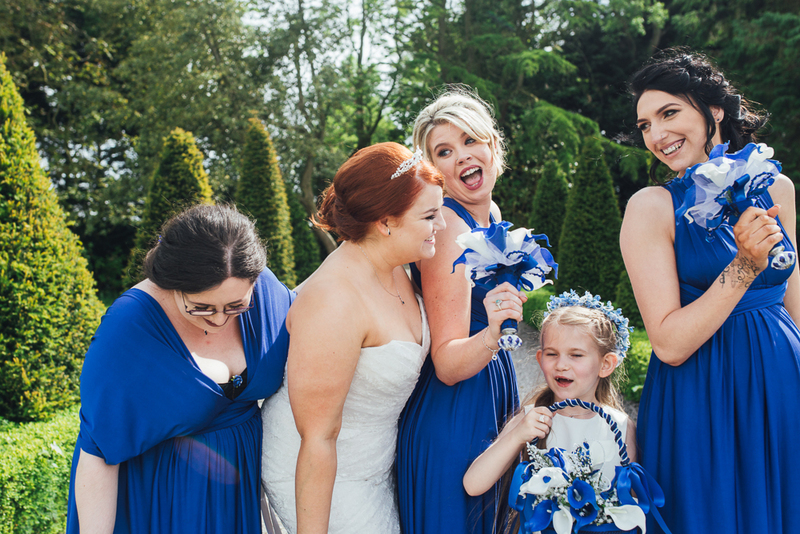 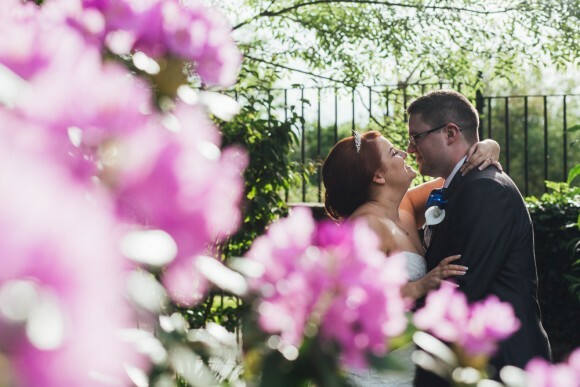 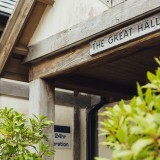 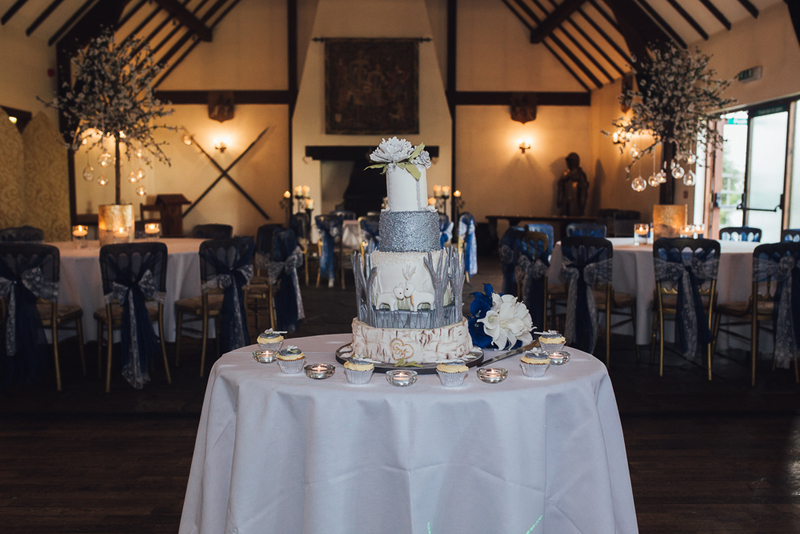 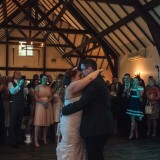 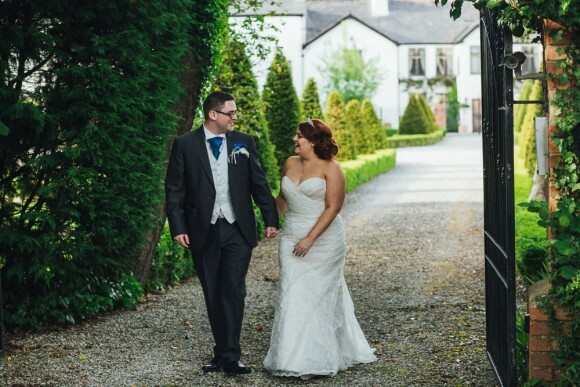 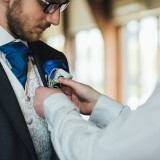 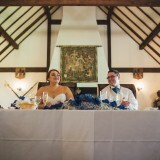 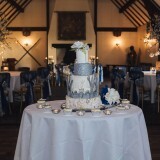 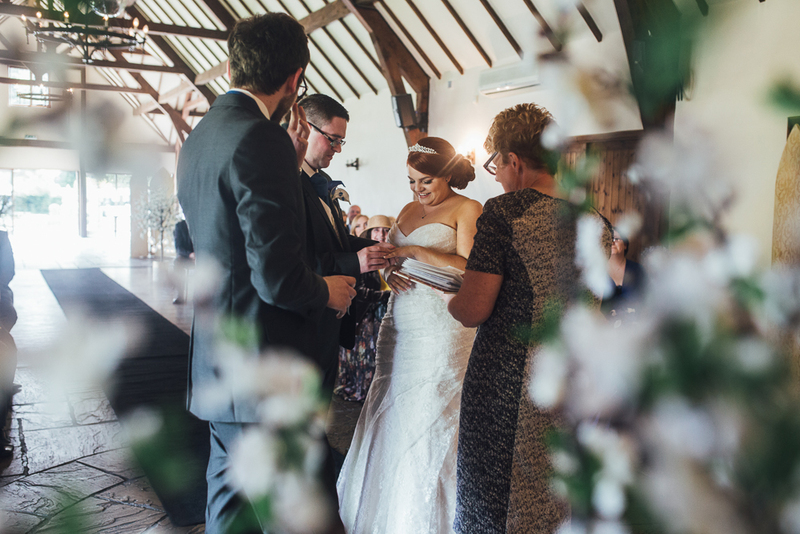 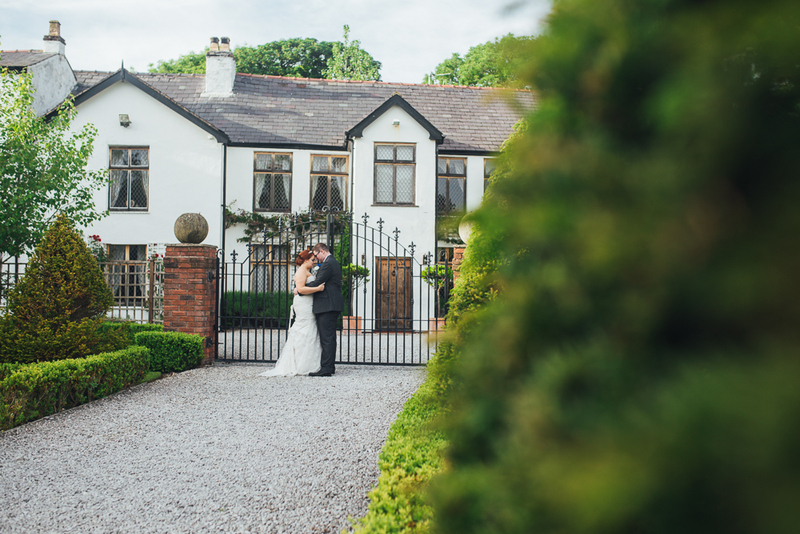 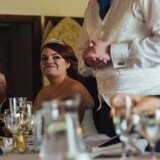 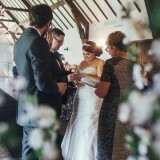 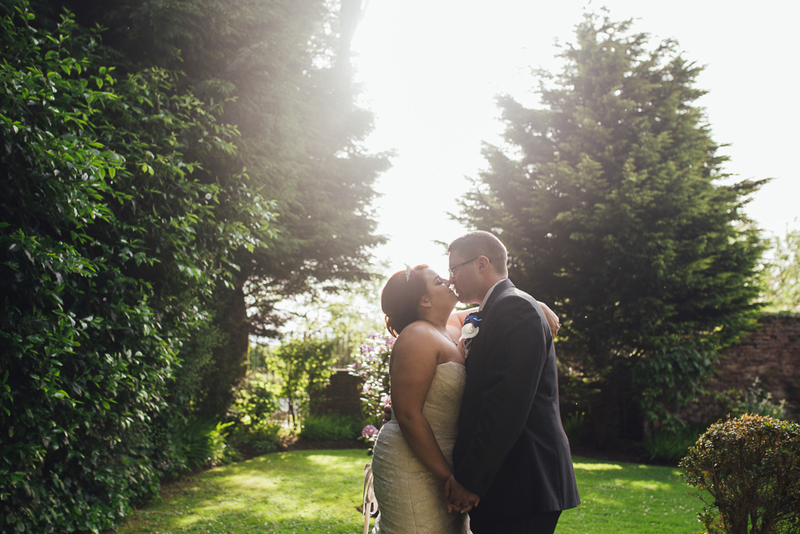 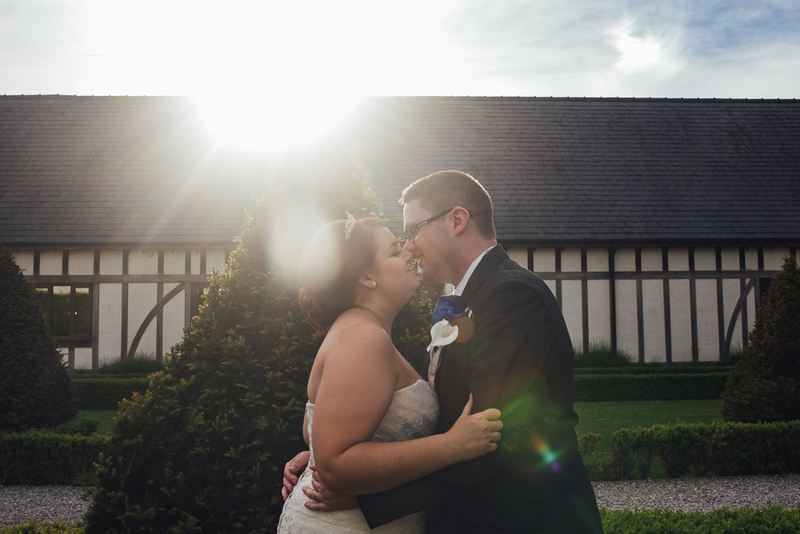 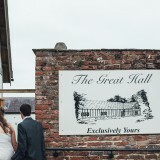 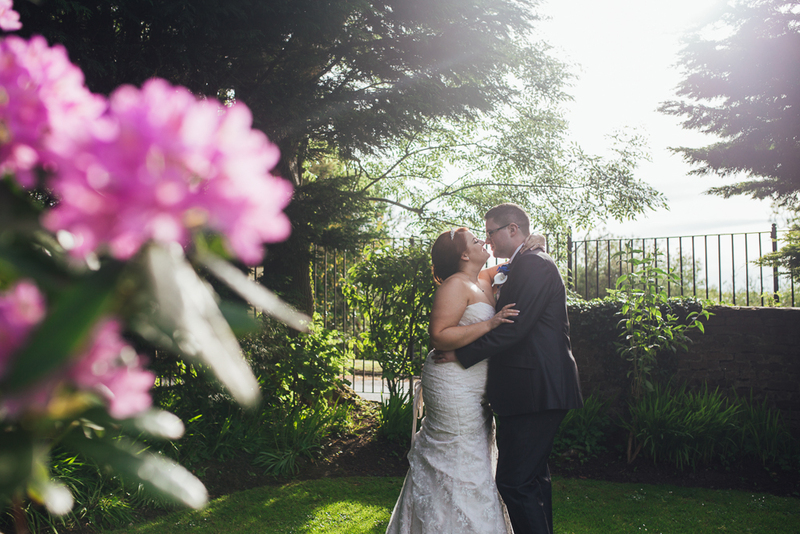 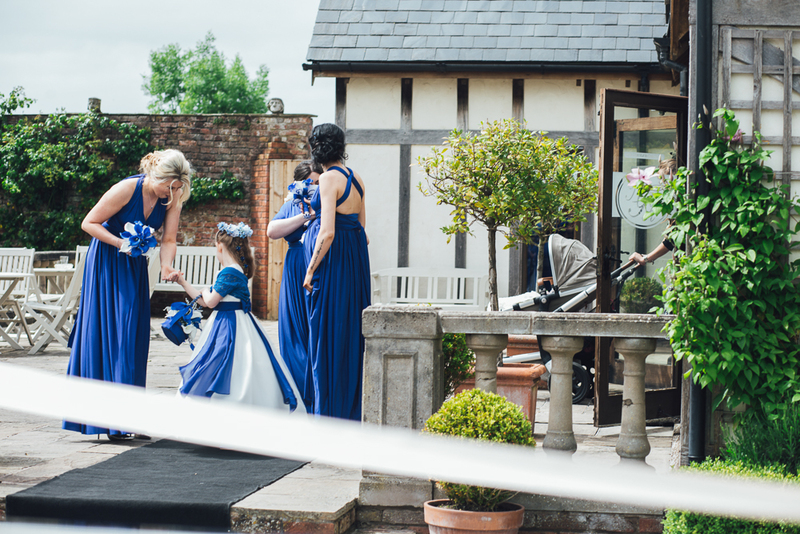 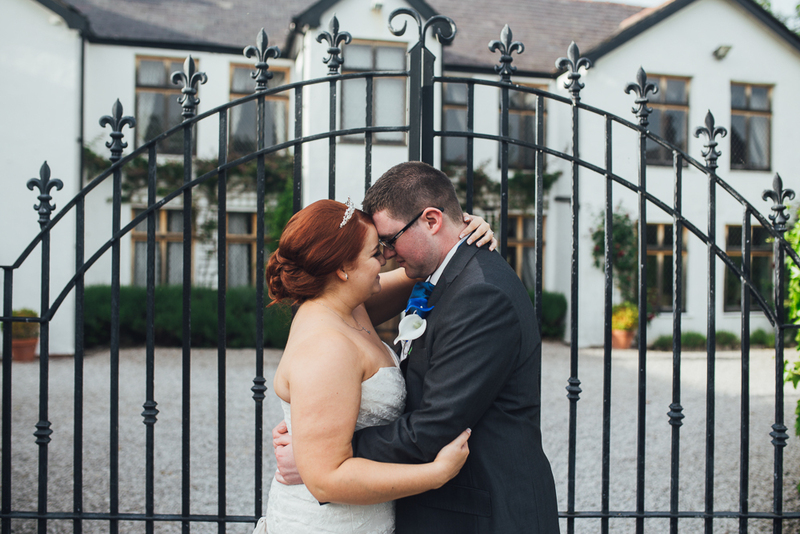 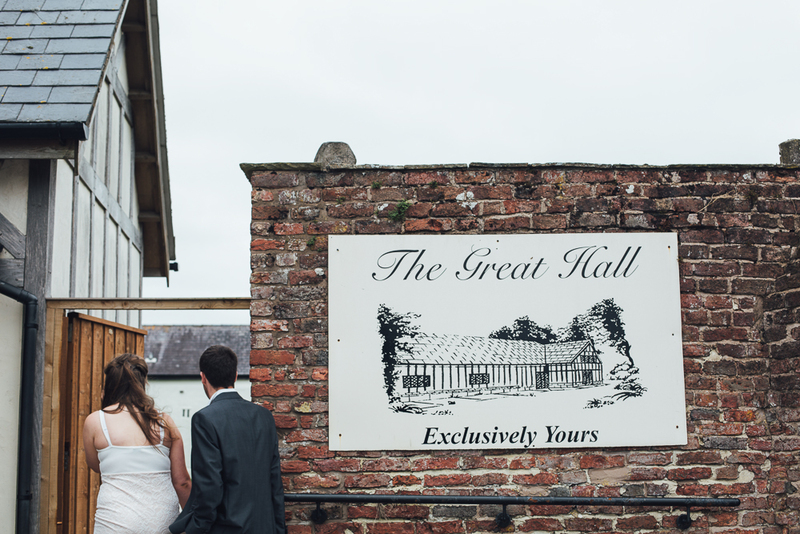 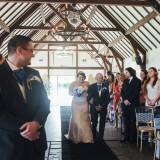 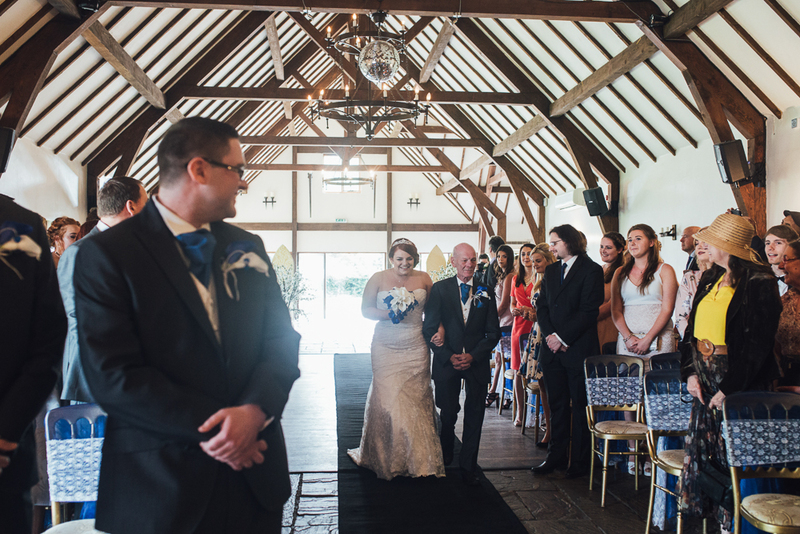 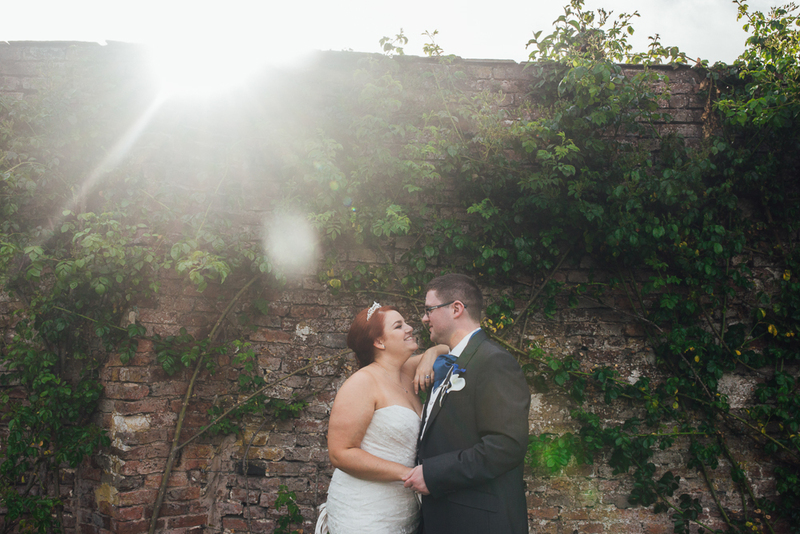 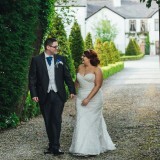 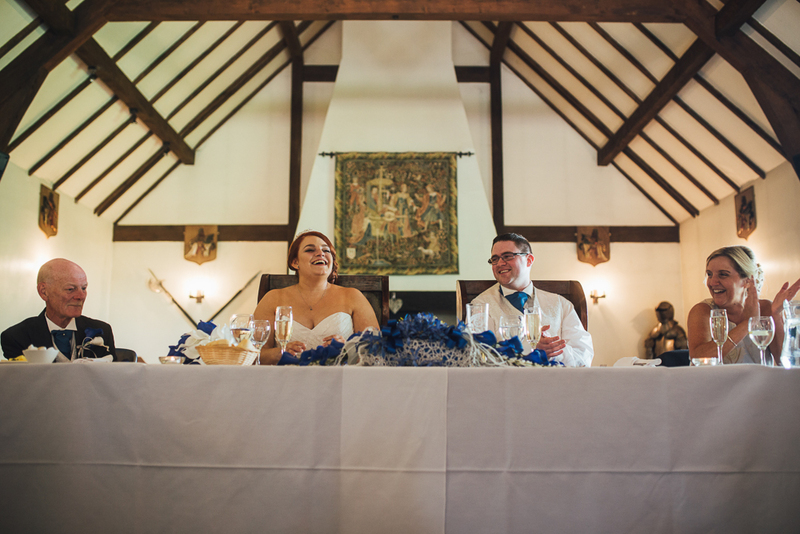 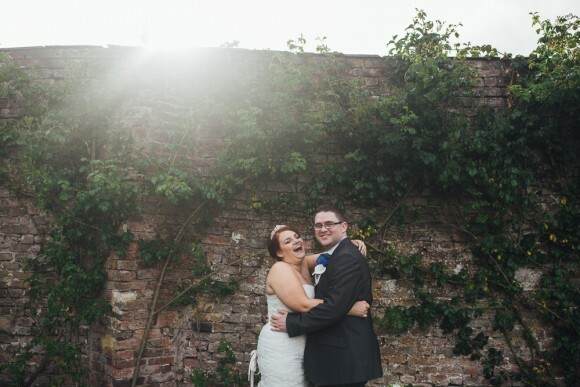 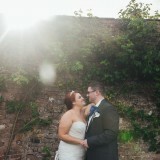 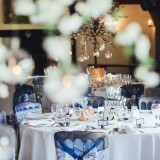 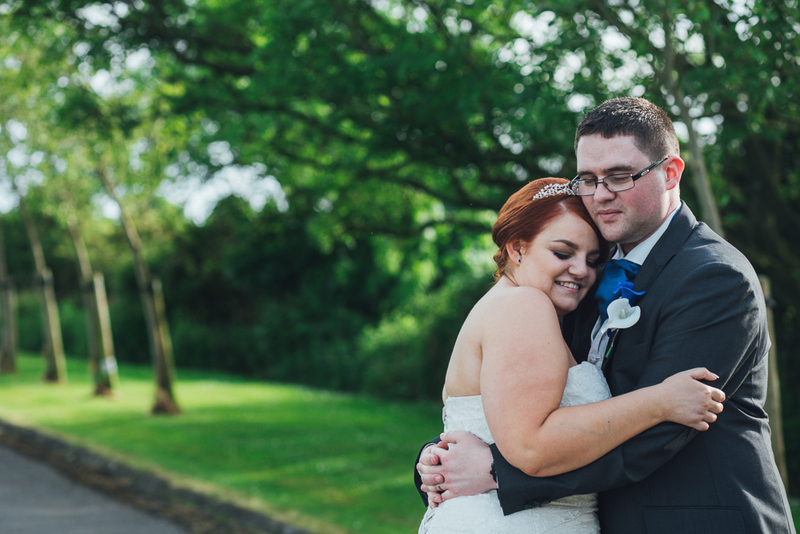 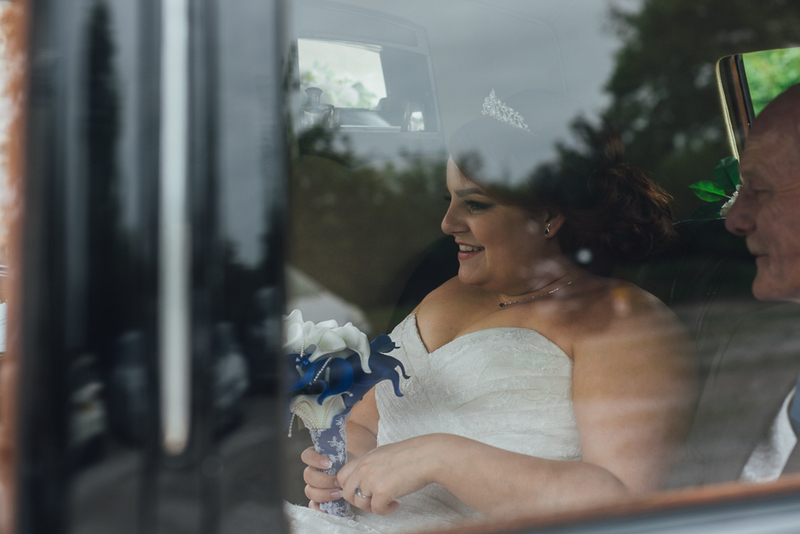 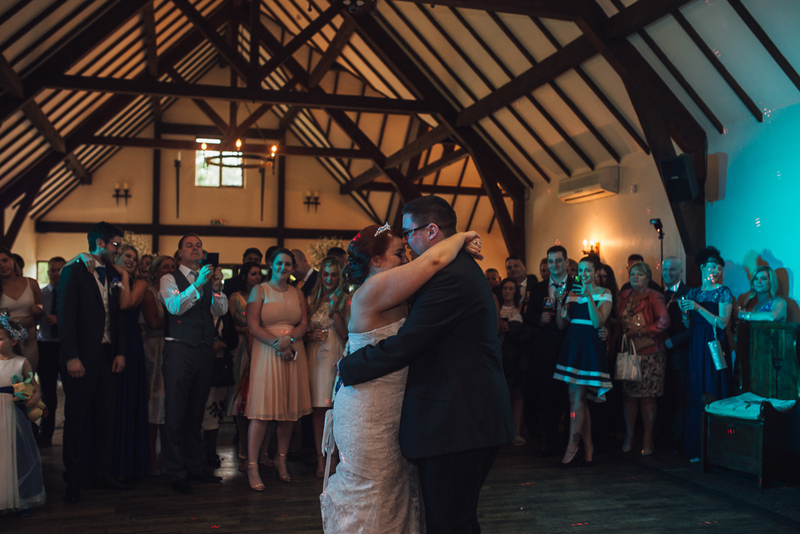 Katherine and Grant were married at the The Great Hall at Mains in Poulton-le-Fylde, an exclusive Tudor style venue, which they decorated with flashes of Kingfisher blue to echo the sapphire in Katherine’s engagement ring. 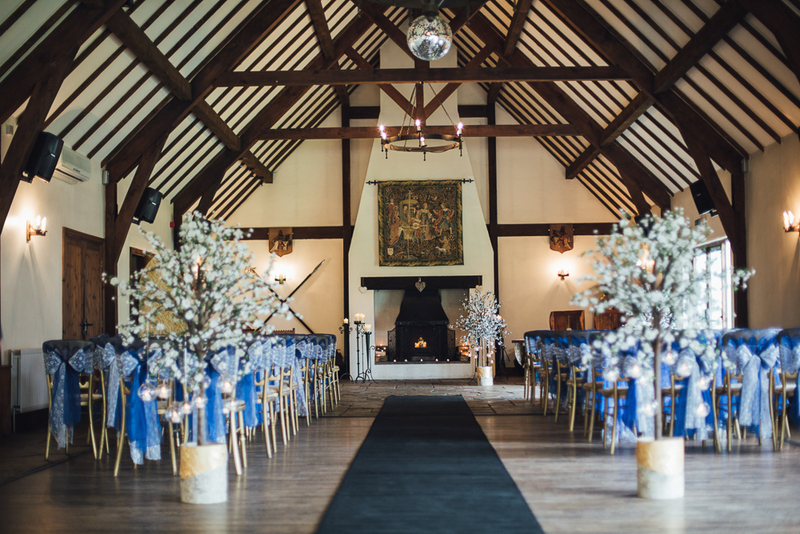 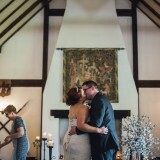 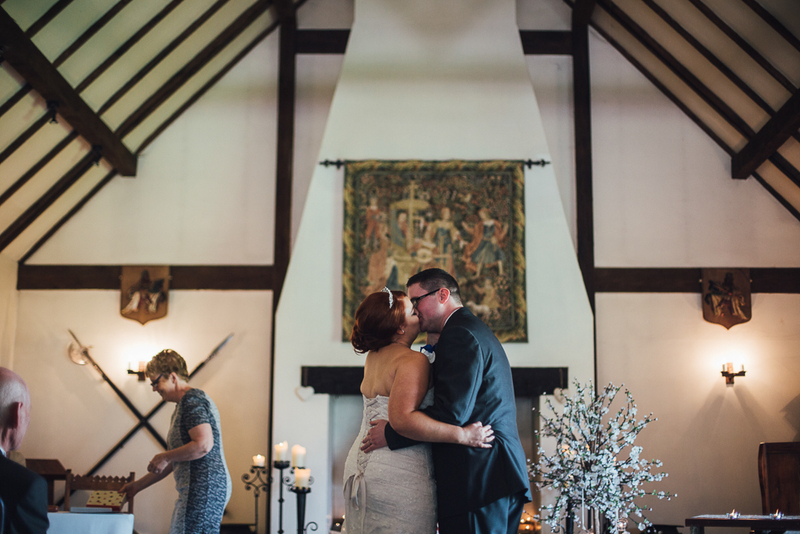 The venue is set against a backdrop of the River Wyre and the Hall, with its high timber-framed ceilings, gigantic stone fireplace, gorgeous tapestries and medieval ironwork chandeliers, has a wonderful historic ambience. 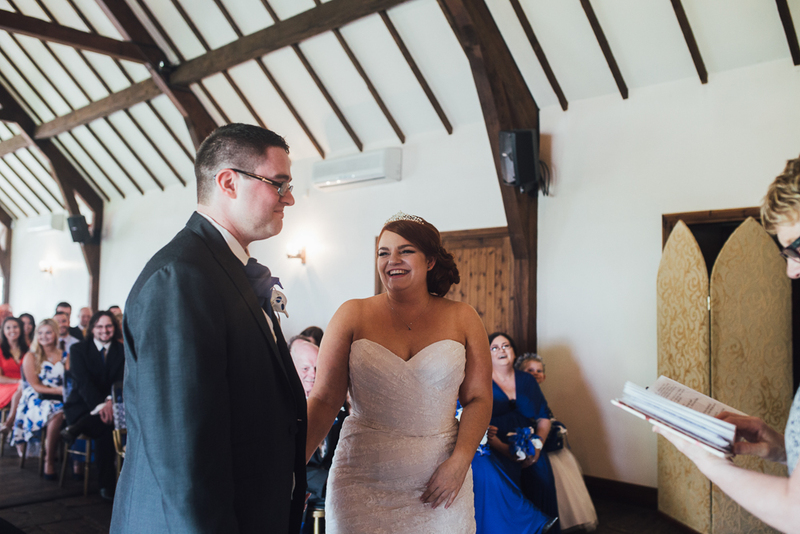 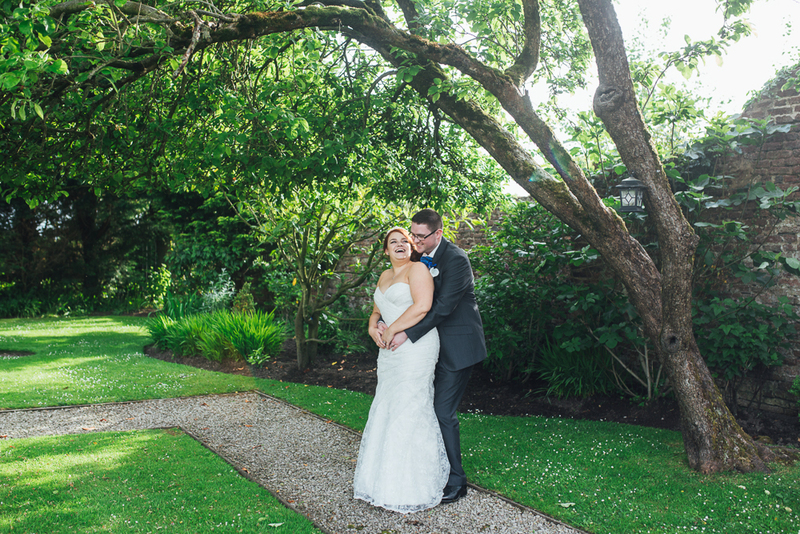 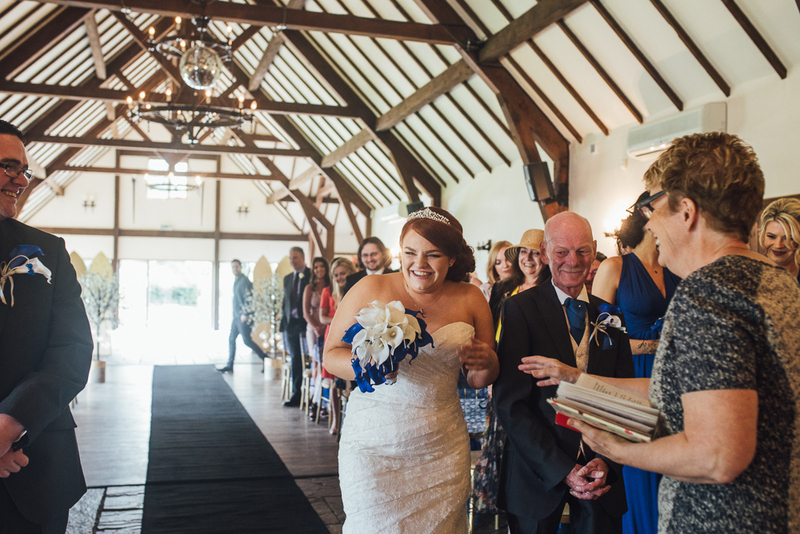 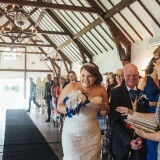 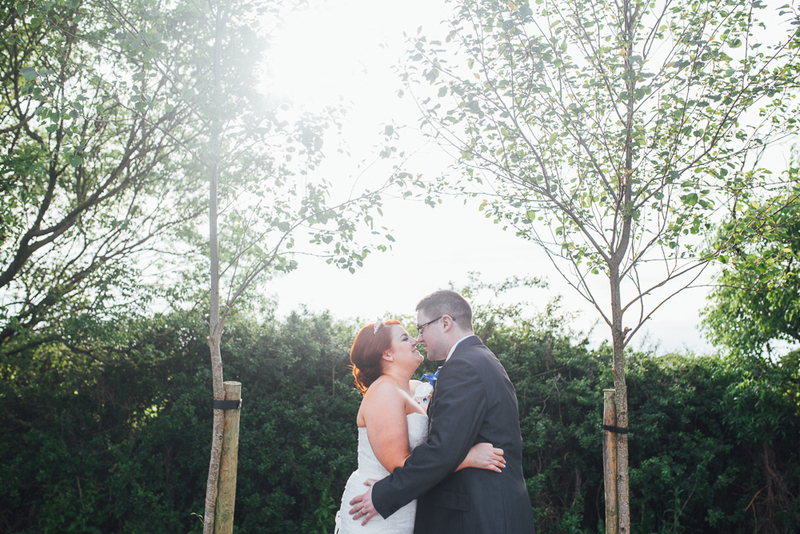 The smile on Katherine’s face as she walks down the aisle towards Grant says it all though – it all comes back to love! 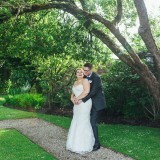 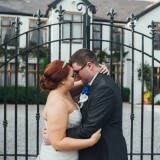 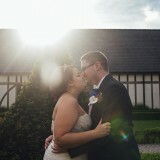 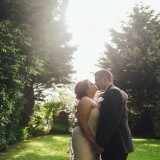 With images by Struth Photography. 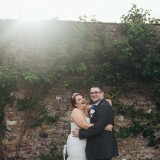 [jenaopen]katherine says: We got engaged while on holiday in York. 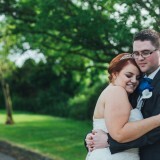 We took our dog, Toby, to a lovely forest for a walk. 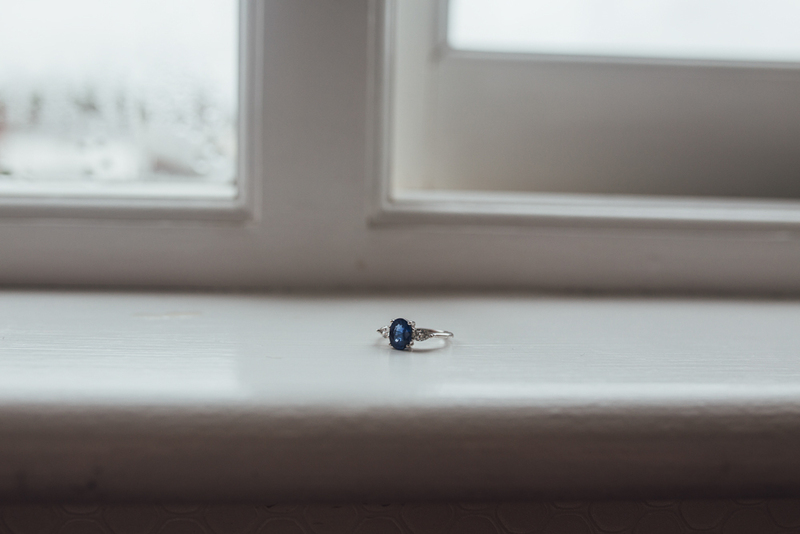 I got up from a bench to throw the stick for Toby and, when I turned around to sit back down, Grant had the ring out and asked me to marry him. 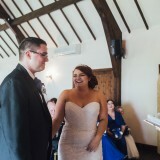 We got married on 28th May 2017. 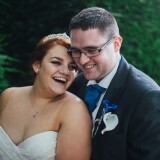 We picked this date as it was the closest weekend date available to our anniversary, which is 4th June. 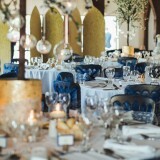 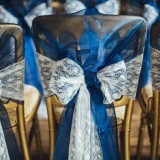 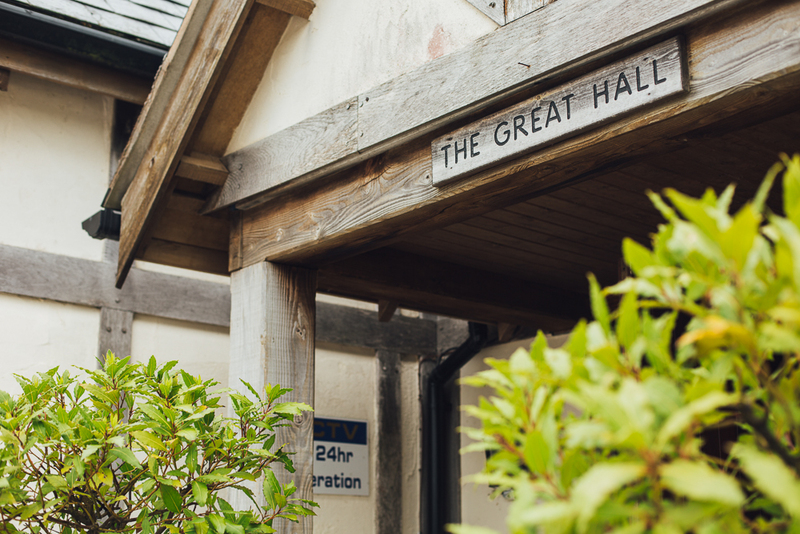 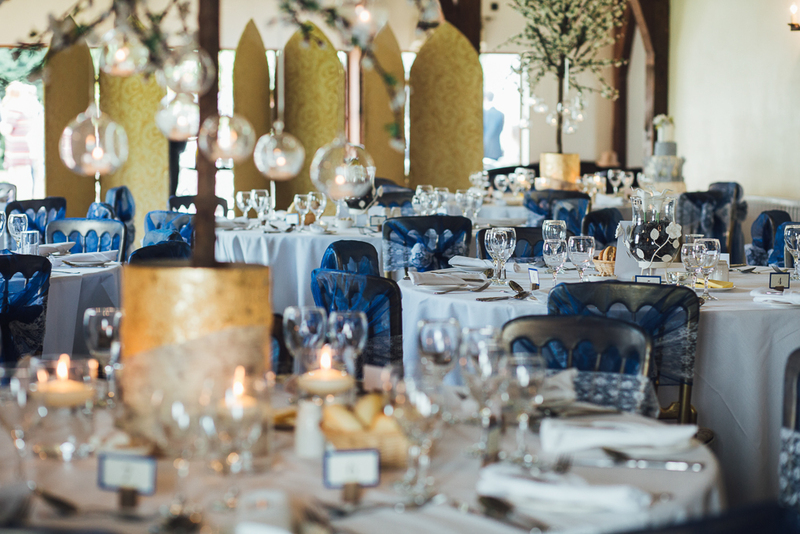 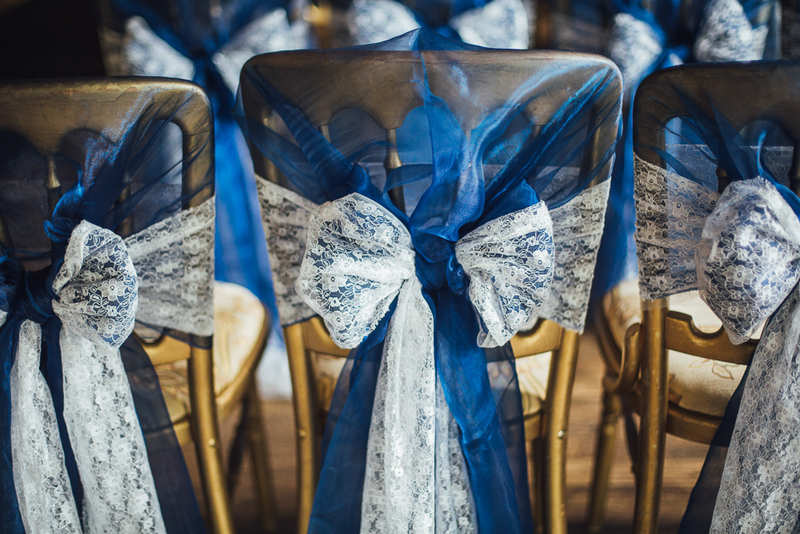 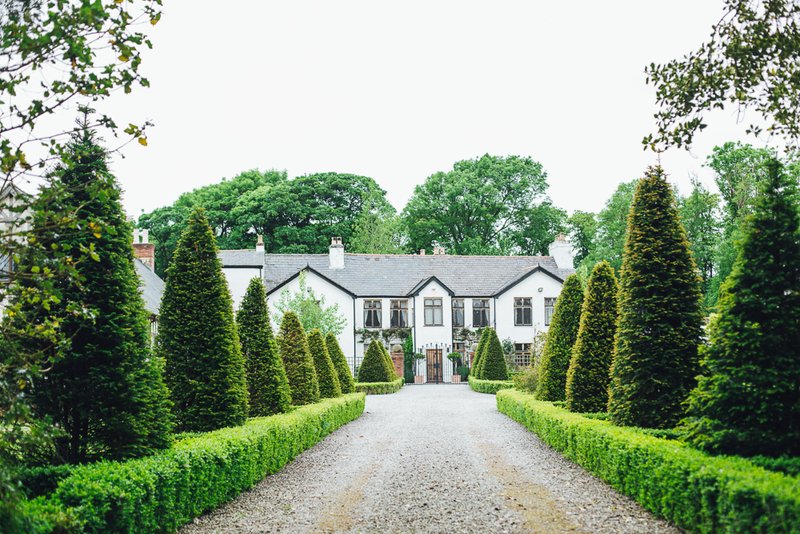 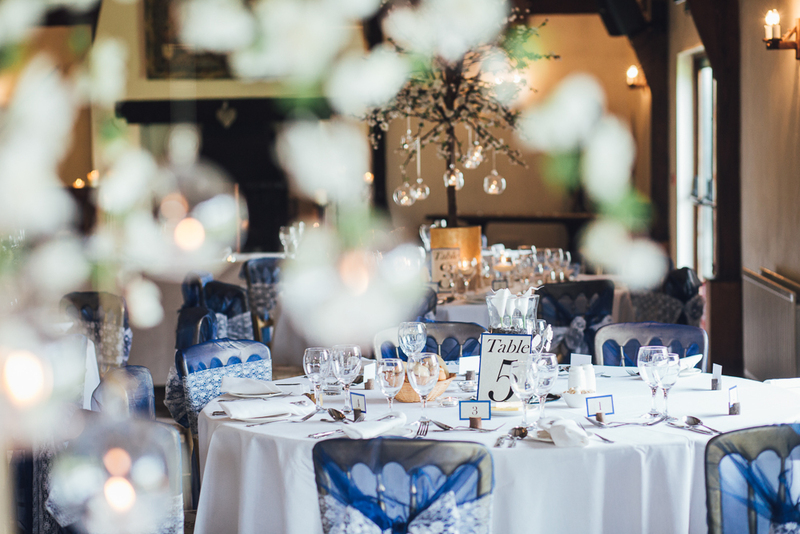 We chose our venue – The Great Hall at Mains in Poulton-le-Fylde – because of its beauty inside and out, choosing blue as our main colour scheme as a nod to my sapphire engagement ring. 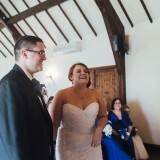 For my dress, I chose an oyster fit and flare strapless design with a white lace overlay. 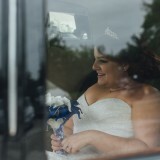 It came from Areles Bridal in Darwen. 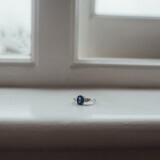 I picked it because I found this shape best complemented my figure. 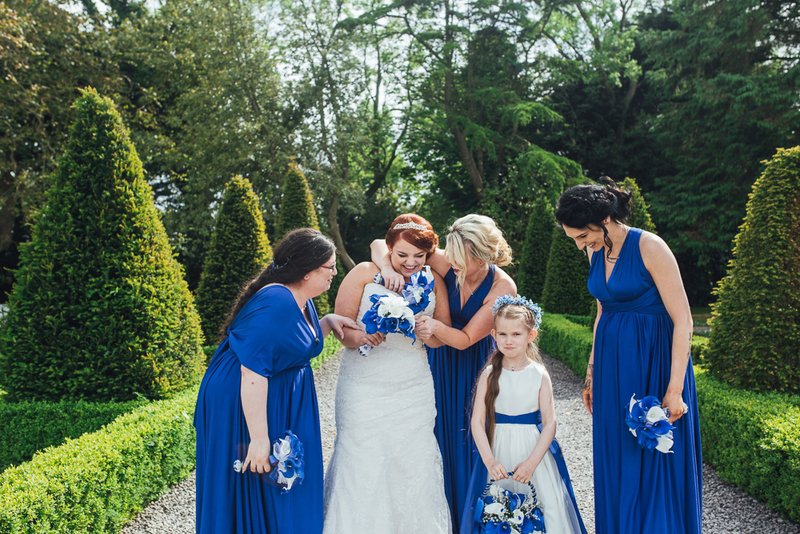 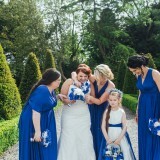 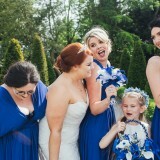 My bridesmaids had beautiful blue wrap dresses, which we also found at the bridal shop. 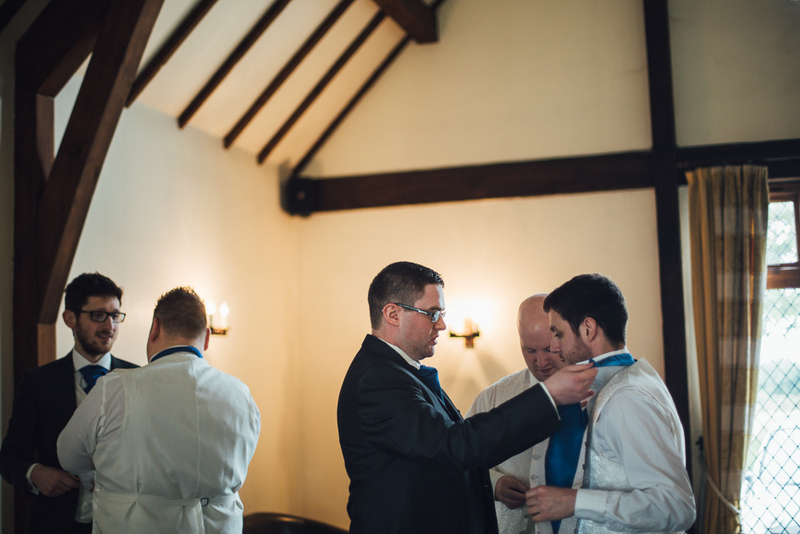 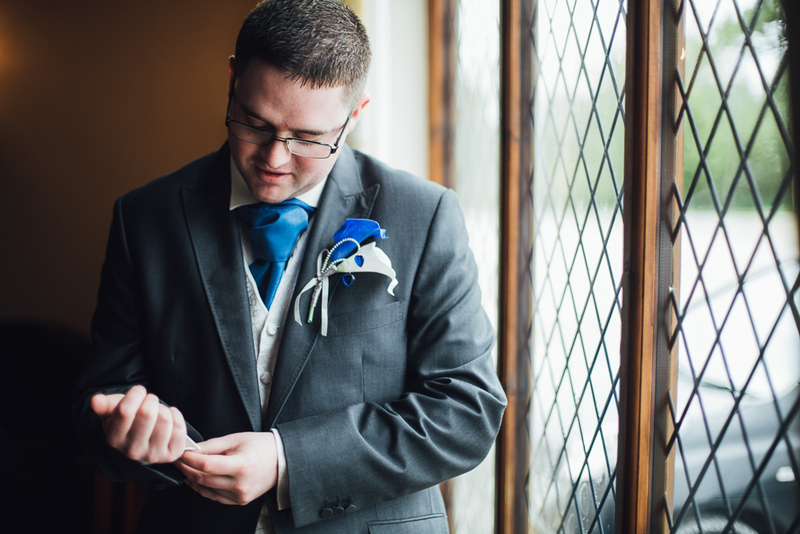 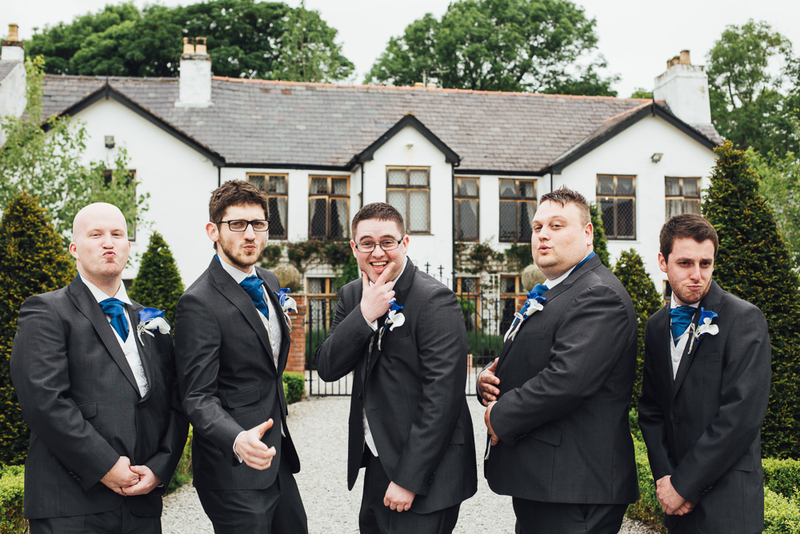 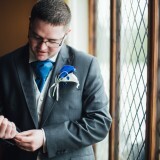 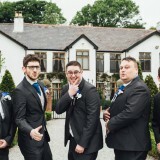 Grant picked a dark grey three-piece suit with a blue cravat from Aults in Bolton, and the groomsmen wore the same. 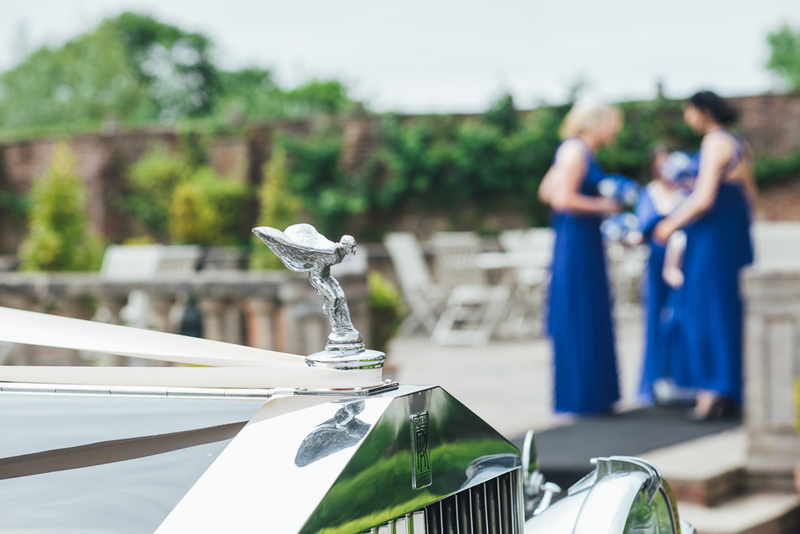 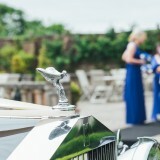 On the day, I travelled to the venue in an elegant Rolls Royce from Clouds Cars. 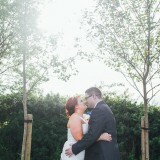 Our photographers were the Struths. 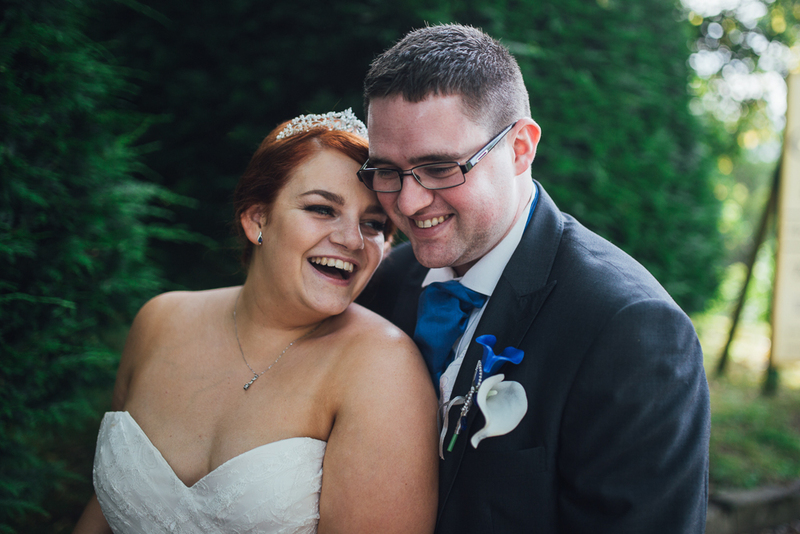 We instantly got on with them really well and they made us feel very comfortable in front of the camera. 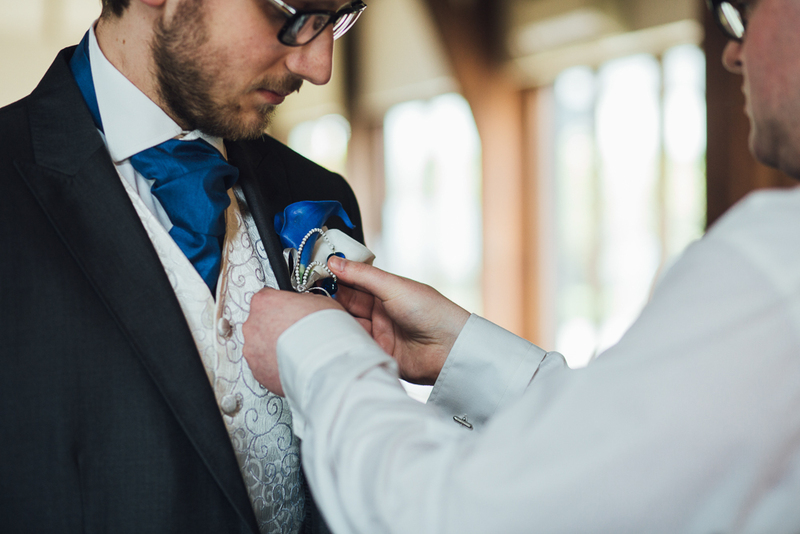 As such, we’d be sure to recommend them to other brides and grooms. 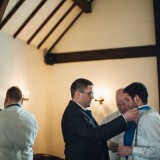 We were fortunate that some of our friends and family were able to contribute to our day with their talents. 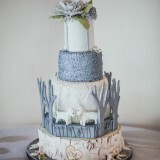 My auntie Anne put our beautiful flowers together, and a friend of my brother made our cake, which was silver and white with tree detailing. 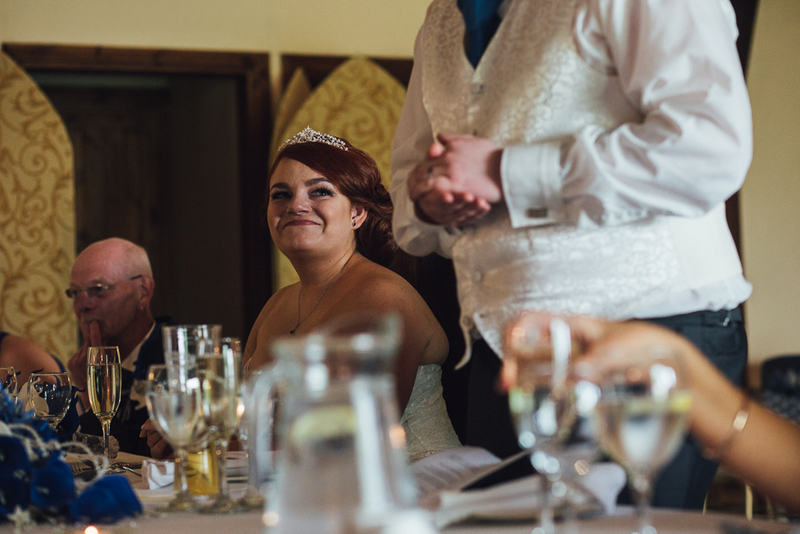 For the wedding breakfast we had my favourite meal; chicken wrapped in bacon and topped with cheese, served with vegetables and potatoes, followed by sticky toffee pudding. 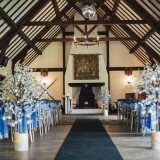 To keep the party going after the meal we had the in-house DJ to provide the evening entertainment. 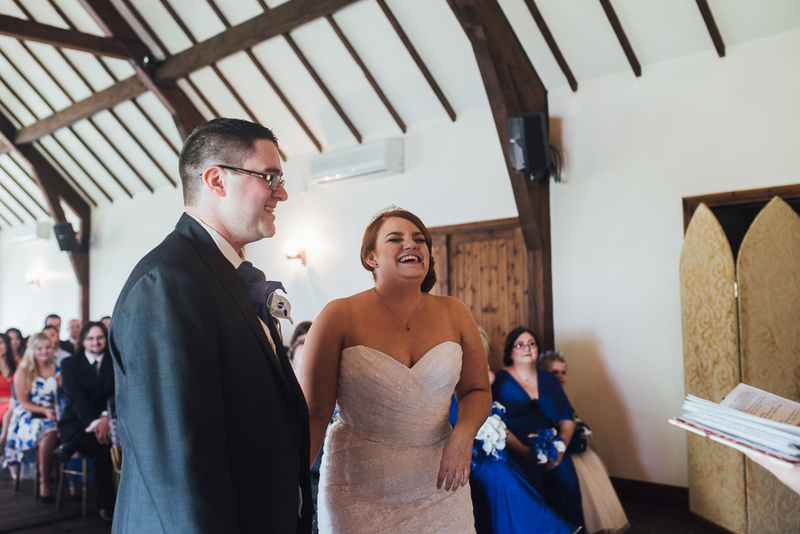 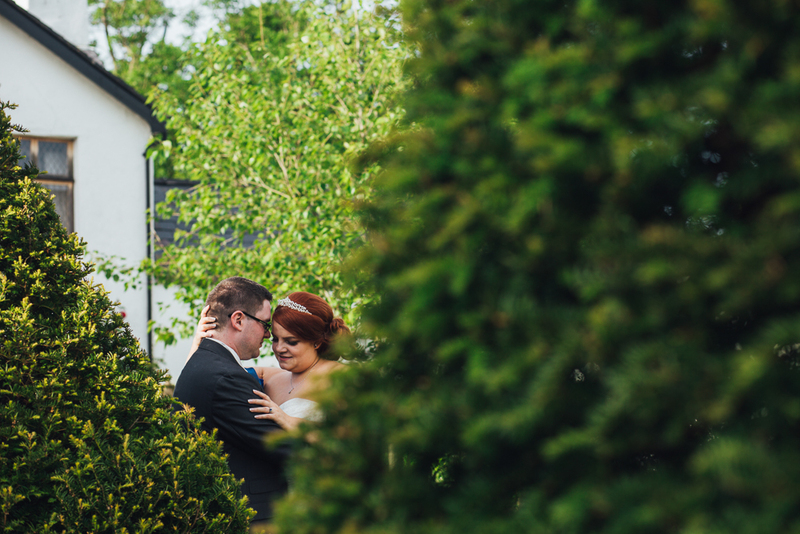 My top tip for other Brides Up North is to simply enjoy every minute you spend together with your partner on the day because there isn’t much time to do so when making time to speak to all your guests too.